Because this 8-mile stretch of river has the highest concentration of laughter in the state of Wyoming. It’s the most popular activity in Jackson Hole. 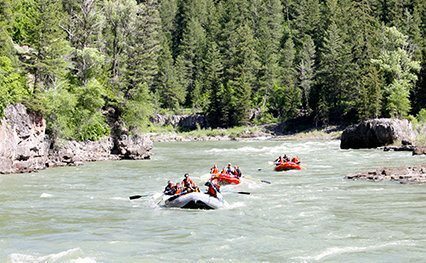 Whitewater trips: rafters will paddle, hoot, and holler through class II-II rapids like The Big Kahuna, Lunchcounter and Champagne. Scenic trips: relax and enjoy Teton Range backdrops and the highest concentration of Eagle nesting in the lower 48. Our 2012 record: 21 eagles! 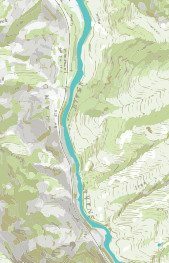 Why go with Snake River Park? 30 years’ experience! Our family has been taking people rafting since 1979. We are super convenient: Meeting places both in town and at the campground. Whitewater trips leave 5 times a day; scenic trips leave 3 times a day. WE LOVE KIDS! We hire guides who have a special gift for safety and fun. Rafting will be the highlight of your child’s vacation. ©1997-2017 Snake River Park, Inc.